Initially, Huntington’s disease was referred to as Huntington’s chorea because of the involuntary movements of patients with the condition are similar to chorea – jerking. Chorea is a Greek word that means dancing. Huntington’s disease has a number of effects on the patient’s functional ability and normally results in psychiatric, thinking (cognitive) and movement disorders. Huntington’s disease does not discriminate. It affects both men and women, rich and poor, and it normally strikes during middle age. 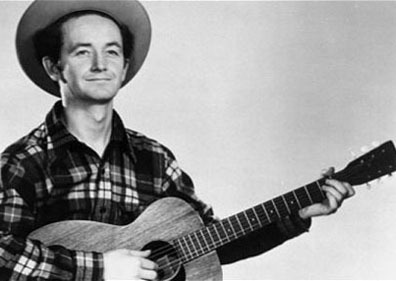 Woodrow Wilson Guthrie (July 14, 1912– October 3, 1967) was an American musician and songwriter whose legacy involves hundreds of children’s songs, traditional songs, ballads as well as improvised works. He plastered the slogan "this machine kills fascists" on his guitar. Most of his songs are archived in the library of congress. Many legendary musicians have acknowledged Woody as a major source of influence. In the late 1940s, Woody’s behavior became extremely erratic, and he was diagnosed with different conditions including schizophrenia and alcoholism. In 1952, it was later diagnosed with Huntington’s disease. By 1956 to 1961, his health had severely deteriorated, and he was unable to control his muscles. For this reason, he was hospitalized at Kingsboro Psychiatric Hospital where he died in 1967. In the last years of his life, he was emotionally volatile, uncharacteristically aggressive and showed social disinhibition. Another famous people with Huntington's disease coming to mind is Charles Sabine. He was born on 20th April 1960 at the British Army Battalion HQ, Rinteln, West Germany. He is a would-be patient of Huntington's disease but also a fighter. 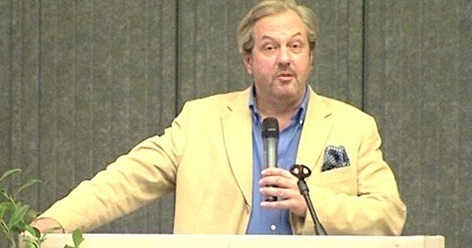 Charles Sabine worked at NBC for 26 years as a journalist before he chose to become a spokesman for families and patients suffering from degenerative brain disease. In 2005, Charles took a bold step and underwent genetic testing. His family had a history of Huntington’s disease, and he expected the results of the test to be 50-50. He was found to have the HD gene, and he would later develop this progressive neurological condition. In 2008, Charles decided to be an advocate for freedom of scientific research as well as the patients of degenerative brain illness, specifically Huntington’s disease. Charles Sabine has been able to establish associations worldwide including Europe, Canada, UK and the USA. His journalism career enabled Charles to not only shed light on the cruelty and fragility of life, but also the potential humanity has for heroism and hope. What Does It Feel Like to Have Huntington’s Disease? Often, people with Huntington’s disease experience symptoms in their 30s and 40s and can strike later on. But if the condition is present before 20 years of age, it is referred to as juvenile Huntington’s disease. Earlier onset leads to different manifestation of symptoms and faster disease progression. Although there is little information about famous people with Huntington's disease, you may have you own speculations after knowing all the signs and symptoms of Huntington’s disease. Most people are worried about the mortality rate and life expectancy of Huntington’s disease. However, there is no sure way of giving an exact answer. Patients diagnosed with Huntington’s disease can live for between 10 and 30 years depending on the symptoms and the severity. Though there is no cure for the condition, there are a number of ways to control it and extend the life span. Medicines for soothing movement disorders include tetrabenazine (Xenazine), antipsychotic drugs and others like clonazepam (Klonopin), levetiracetam (Keppra) and amantadine. Medicines for treating psychiatric disordersinclude antidepressants like sertraline (Zoloft), fluoxetine (Prozac, Sarafem) and citalopram (Celexa, Lexapro), antipsychotic drugs like olanzapine (Zyprexa), risperidone (Risperdal) and quetiapine (Seroquel). They can suppress psychosis, mood disorders, agitation and violent outbursts. Mood-stabilizing drugs may prevent highs and lows associated with bipolar disorder including anticonvulsants such as lamotrigine (Lamictal), carbamazepine (Carbatrol, Equetro, Epitol) and valproate (Depacon). A psychologist, psychiatrist or clinical social worker can offer talk therapy. This will help a patient manage behavior issues, develop coping strategies and know what to expect as the disease progresses. This fosters effective communication skills among the family members. Patients may have difficulty in controlling throat and mouth muscles as the disease progresses, making talking and eating difficult. Speech therapists can offer speech therapy to solve difficulties with muscles involved in swallowing and eating. They will also teach you to use communication devices, like communicating with boards with pics of activities and everyday items. For famous people with Huntington's disease, psychotherapy and speech therapy are really important because they not only have to maintain the normality of life but also try really hard to keep up with their careers, like acting and singing. A physical therapist can help you with safe exercises that enhance coordination, balance, flexibility and strength. This will enhance mobility and decrease chances of falling. Appropriate posture and posture support items can help decrease movement problems. Maintaining healthy body weight can be difficult for a Huntington’s disease patient. This may be caused by unknown metabolic problems, high caloric needs because of physical exertion, and difficulty in eating. To get adequate nutrition, it is important to have more than 3 meals in a day. There is an increased risk of choking because of problems in chewing, swallowing and fine motor skills. This can be dealt with by limiting distractions during mealtime as well as eating foods that are easy to chew and swallow. Cups with straws and other utensils made for people with minimum fine motor skills can be helpful. With time, a Huntington’s disease patient will require help with drinking and eating.